Heizer (2009) define supply chain management as the “integration of the activities that procure materials, transform them into intermediate goods and final products then deliver them to the customers”(p. 360). Supply chain management integrates the transportation activates that include the distributions methods with the suppliers and venders then setup a payment system that manage the account payable and account receivables (Heizer, 2009). Supply chain management set up and manage the order fulfillment with the warehousing and inventory control then share necessary information with the suppliers, venders, distributors and the customer when needed (Heizer, 2009). Ayadi (2009) affirm that part of Airbus success is because of their efficient supply chain management. 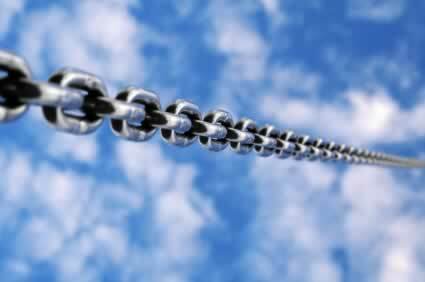 The supply chain management provides general visibility for the different actors of the organization (Ayadi, 2009). Airbus had more than 1500 contractors distributed in 30 countries and the supply chain management used ensures right parts, systems and hardware are delivered at the right place on time. Airbus supply chain system allows the suppliers and the buyers to exchange the needed information online. The suppliers can display their ability to deliver by filling the right information on the secured website. The supply chain cycle is cover on web site from the first order through procurement to the invoicing and payment finalization (Anonymous, 2010). The suppliers data and their transactions are stored in a “foundation” data bank that help in the decision-making in future transactions (Anonymous, 2010). Supply chain management has its disadvantages like most of the automated systems. The Bullwhip effect could affect the Airbus supply chain cycle because of the cycle length and number of steps that go through it. The bullwhip effect is the increase in fluctuation in orders while the orders are steady with minimal fluctuation (Heizer, 2009). Heizer, J., & Render, B. (2009). Operations management (9 ed.). Upper Saddle River, NJ: Pearson Prentice Hall. Amassing .. Thank you . hi, just wanted to ask, do the airbus company has a system that foretell the companies activities such as orders from client before the green light been given by its HQ in Toulouse to its suppliers or vendors? Very good question but unfortunately I do not have an answer for it. thank you for your reply…really appreciated….